Split screen feature is one of the out-of-the-box features provided by Apple. Well not all features are liked by everyone! There are few people out there who don't enjoy iPhone X screen splitting. Though split screen feature is available on both iPhone and iPad both, they however differ from each other in many aspects. Apple provided the feature of split screen by taking advantage of the additional display space. In the below article we will discuss the simple and best ways to solve "iPhone X split screen landscape" issue. Are Split Screen on iPhone and iPad Same? The answer for your this question is a big No. Split screen of iPad and iPhone are totally different and you just cannot use similar steps as that of iPad to perform a iPhone X split screen turn off. In case of iPad, split screen feature can be turned off simply by going to the Settings app. However, you cannot do the same for iPhone. Is Split Screen Feature Good? 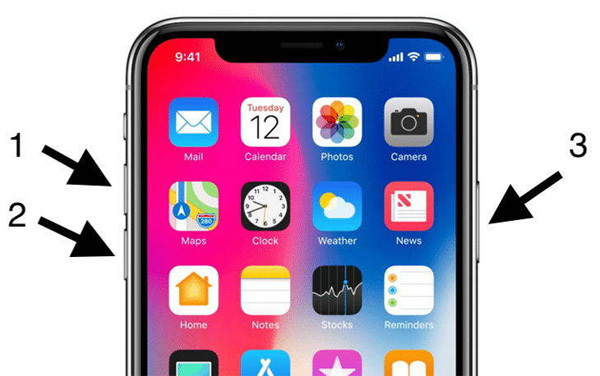 Apple brought the split screen feature as it can benefit from the extra display space its iPhone Plus models have including iPhone 8 Plus; this provides more than expected space for viewing. Split screen on iPhone is available for apps including Mail, Messages, and Calendar. The iPhone models such has iPhone 6 Plus, iPhone 7 Plus, iPhone 6s Plus, and iPhone 8 Plus are those who enjoy the split screen feature. To use that extra space on screen, one can go for split screen feature by turning the iPhone 6s Plus, 6 Plus, 7 Plus, and 8 Plus on the side; this turns on landscape mode automatically. With this, you can feature extra content on iPhone's display on just one screen. Apps that enjoy split screen feature on iPhone are Calendar, Mail, Stocks, Messages, Voice Memos, Reminders, Clock, and Contacts. Despite the fact that iPad split screen allows one to open multiple apps at once, the iPhone split screen simply lets you use the additional space of screen so as to display extra content. For example, on Mac the Mail app displays 2 columns—one for emails list and the other for showing the opened email. When you use split screen on any iPhone Plus model, on your iPhone you will see the Mail app similar to the way it was shown on Mac. Few people enjoy this additional screen space, while few don't. If you want to solve your "iPhone X split screen disable" issue, we have solution for you. 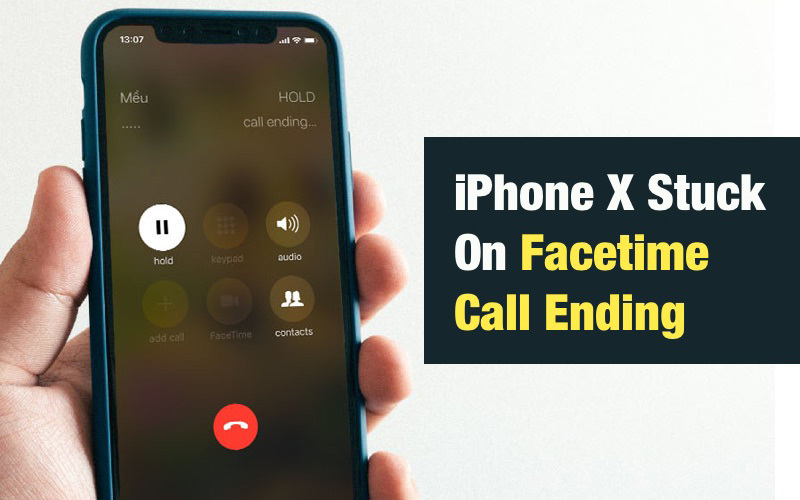 If you do not like the feature of split screen provided by Apple and want to get rid of "iPhone X split screen multitasking" issue, we have perfect solution for you. Follow below steps to solve "iPhone X split screen off" issue. Step 1: Launch the Settings app on your iPhone and click on option Display & Brightness. Step 2: Choose the option View and click on Zoomed option present at the top. Now simply select option Set. Step 3: Confirm your decision to use option Zoomed. Now a message saying that your iPhone will be restarted after changing the display settings will be displayed. Once your device is restarted, you will no more see the feature of split screen used on your iPhone in any of the apps. Instead of split screen, all you will see is a single big screen of your iPhone. If the above mentioned simple method does not solve your "split view iPhone x" issue, then there might be a chance that your iPhone system is facing some glitch and issue. The most simple and the best method to solve your iPhone split screen issue is Tenorshare ReiBoot. It is an ultimate and the best way to solve any of the iOS-related concerns. It is just a valuable tool to repair your iPhone device. Tenorshare ReiBoot is an amazing 3rd-party iOS tool; it can be used to solve any kind of problem related to iOS. Various different problems related to iOS can be easily solved with the amazing tool instantly. Other issues related to iOS such as headphone mode stuck, disabled screen, boot loop screen, stuck in update, and blue screen can also be resolved with this tool. In the above article will have seen the best ways to solve "turn off split view mode iPhone" issue in the most simple and the best way possible. If you think that your iPhone system is dealing with some issue, we highly recommend Tenorshare ReiBoot to get your problem solved. It is the best solution for any iOS problem. Do share your valuable feedback in comments section below.